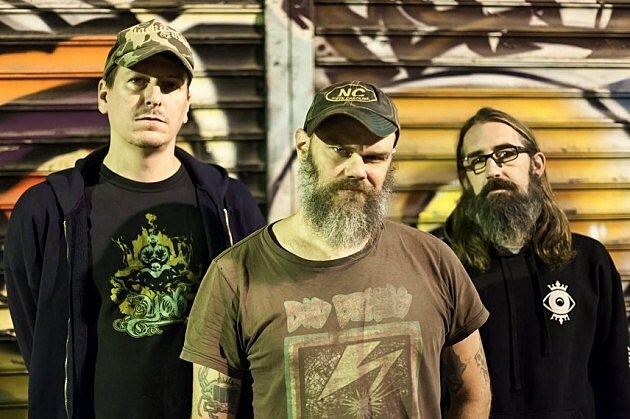 Southern-fried stoner doom vets Weedeater have some shows coming up, and if you get the chance to see Dixie and co. in person, you shouldn’t miss it. First off, they’re headlining Stoned Meadow of Doom Fest, which celebrates the namesake radio station in Omaha, NE at The Slowdown on September 2. Weedeater will be joined there by Wo Fat, Egypt, Silent Monolith and more. Tickets for that are on sale now. Earlier in the summer, Weedeater have some other US dates. They’ll be in Austin for a show on July 6 at Grizzly Hall, with support from Mountain of Smoke, Thunderkeif and Pushmen (tickets). Then they’ll be in LA the next day for a show at The Viper Room on July 7 with support from NYC rippers Black Black Black, along with Undermine the Effect and Ledjelly. Tickets for that are on sale now. After those dates, Weedeater head off to bang some heads in Australia. The band released the Steve Albini-produced Goliathan last year. All dates listed, along with a stream of that ripper, below.